SITE’s Education Department worked with artist Dario Robleto and a group of New Mexico School for the Arts students throughout their junior and senior years on the construction of a time capsule, which was presented as part of the Future Shock exhibition. 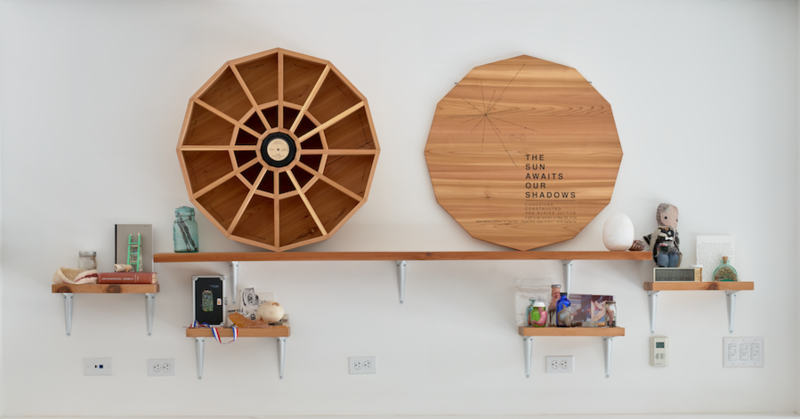 Inspired by the Voyager Golden Record which launched a message outside of our solar system in 1977, students worked on their own message creation which culminated in the co-creation of an an art object in the form of a time capsule. The capsule will be buried at SITE Santa Fe on this date.